Think you may have hearing loss? 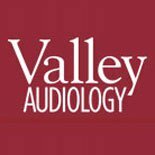 Valley Audiology is here to help. Start your journey toward better hearing by taking our quick and easy hearing quiz. You may be experiencing hearing loss. Your answers indicate signs of hearing loss. We recommend connecting with our team to understand if you may have a hearing loss and ways to experience better hearing to keep you connected in your world. Complete the form below to request an appointment or contact us at (925) 676-8101.